The National Association of Realtors reported that pending home sales rose 3.1% from a downwardly revised January number. The Pending Home Sales Index was down 4.1% Y-O-Y through February 2018. Pending Home Sales Reverse Course in February, Rise 3.1 Percent | www.nar.realtor The NAR noted that prospective buyers were feeling the pinch of higher mortgage rates and "swift price growth". One of the potential negative surprises this year may end up being a decline in new home sales compared to 2017 due to the Triple Whammy (1) rising mortgage rates; (2) rising home prices; and (3) the tax benefit takeaways in the "tax reform" legislation. The median sales price in several localities is already above affordability levels for most median income households. (e.g. San Francisco: Only 12% of households can afford a median-priced house; 4th Qtr. Housing Affordability Report for California) I noted in my last blog that the median sales price for new homes last month was $326,800 nationwide according to the Census Bureau. In a recent speech, Trump claimed that coal industry jobs are back. The True Believers cheered of course. Would they have cheered if the actual data was disclosed to them by Donald, which will never happen? I seriously doubt that any of them would believe the BLS numbers even if they managed by some incredible happenstance to come across the data. I suppose that one could argue that this claim is barely true provided you define "back" extremely generously to the point of absurdity. There are only 1,300 more jobs in the entire coal industry over the past year through February 2018. The February 2018 preliminary number is 52,200 total coal industry jobs compared to 50,900 in Trump's first full month as President. 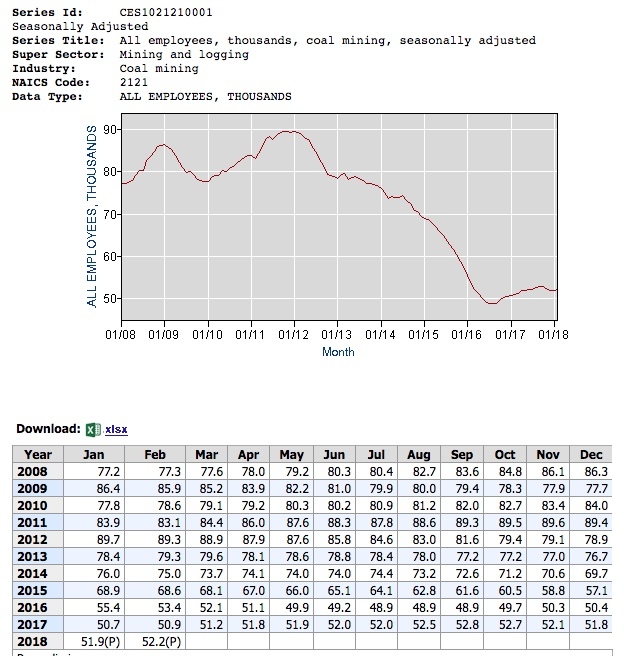 The coal mining job number hit a peak of 52,800 last September. The price paid for that negligible increase is more pollution (land, water and air). In February 2018, the BLS estimated that there were 161,921,000 individuals who had jobs in the U.S. Employment Situation Summary Table A. 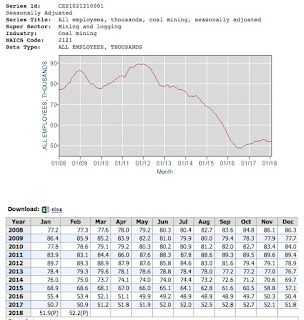 Household data, seasonally adjusted The entire coal industry represented .000322% of that number. 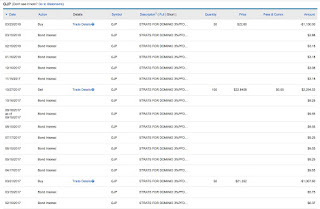 After the transactions discussed below, I currently have the following positions in synthetic floating rate exchange traded bonds. Security: GJT is a Synthetic Floater in the Trust Certificate legal form of ownership. The security falls under the general category of Exchange Traded Bonds. The Trust Certificate matures on the same date. History This Account Only: The distribution is rising but the amount is of course meaningless to me. Security: GJS is similar to GJT except the float is .9% over the three month treasury bill rate with a 7.5% maximum coupon. Par value is $25. 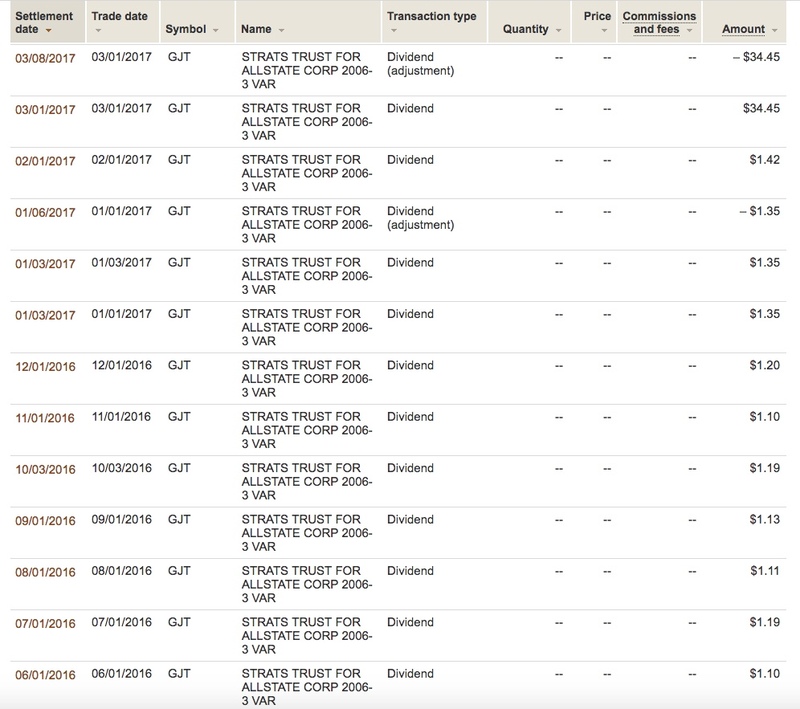 The GJS TC represents a beneficial interest in a 6.125% senior unsecured bond issued by Goldman Sachs that matures on 2/15/2033 that is owned by a grantor trust administered by an independent bank trustee. The bond's prospectus has a make provision that makes it unlikely that GS will redeem this bond. 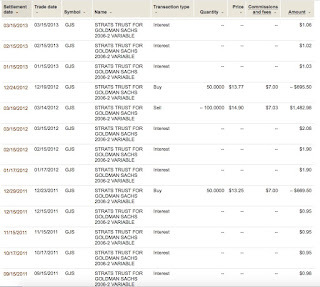 I own 100 shares in my Schwab Taxable account. In that account, the average cost per share is $18.46 with the last 50 share lot bought at a total cost of $18.35 per share (1/25/17). As with GJT, the interest payments of GJS have been trending up since December 2015, when the FED first increased the FF rate off of ZIRP. Security: GJP is a Synthetic Floater in the Trust Certificate legal form of ownership. I will try to explain this security now. 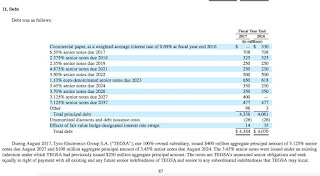 Wachovia (now part of Wells Fargo) bought a 5.95% Dominion Resource senior unsecured bond maturing in 2035. 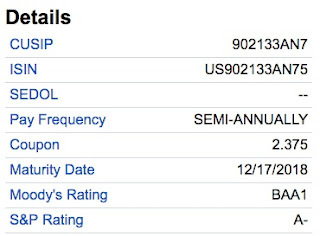 That bond is currently rated at Baa2 and BBB according to FINRA. Bond Detail This Dominion bond closed at $118.11 on 3/28/18, creating at that time a yield-to-maturity of 4.434% and a current yield of 5.04%. 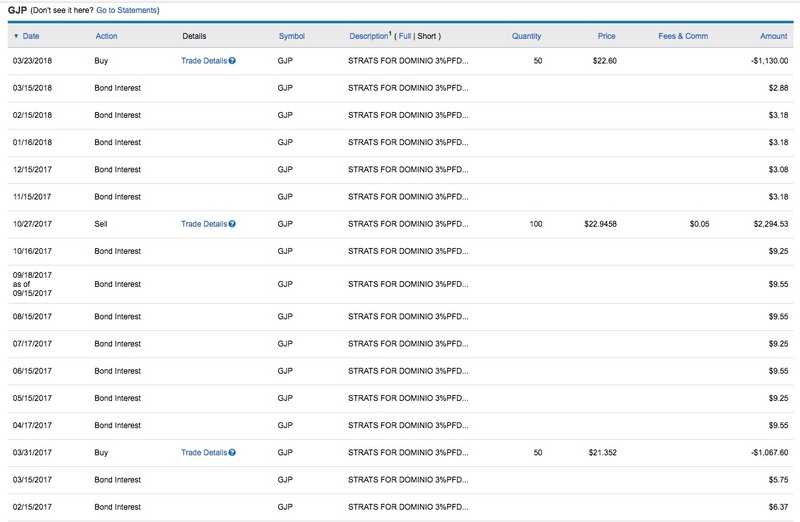 Dominion is a large electric utility company "with a portfolio of approximately 25,700 megawatts of generation, 15,000 miles of natural gas transmission, gathering and storage pipeline, and 6,600 miles of electric transmission lines." The utility has about 6 million retail customers. Who We Are; Dominion Energy Inc. (D); D Analyst Estimates. Wachovia then created a Grantor Trust which sold trust certificates to the public at $25 per certificate. 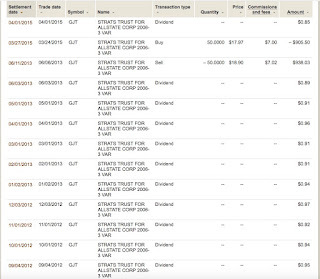 The trust then bought the bonds from Wachovia and currently owns those bonds. 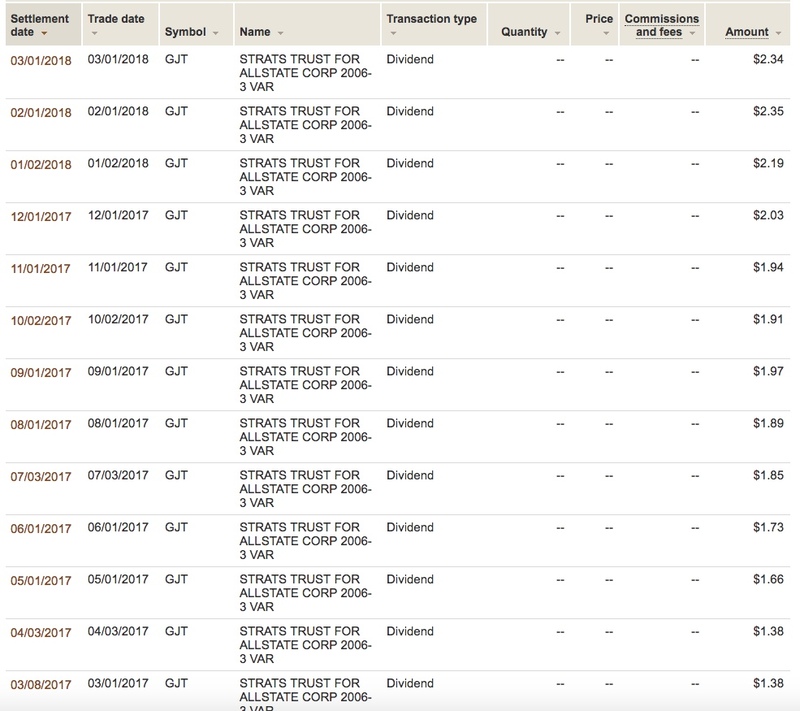 The owners of GJP have an undivided ownership interest in those bonds owned by the Trust administered by an independent trustee. Assuming Dominion survives to pay off the bonds at maturity, the trustee will distribute the redemption proceeds to the owners of GJP which would equal $25 per share. So, the underlying bonds owned by the Trust and the GJP trust certificates would mature simultaneously. The Trustee then entered into a "swap agreement" with Wachovia, whereby the trust would swap the interest payments received from Dominion for the floating rate described above. In the event the bond is called by Dominion, Wachovia is entitled to a swap termination fee. 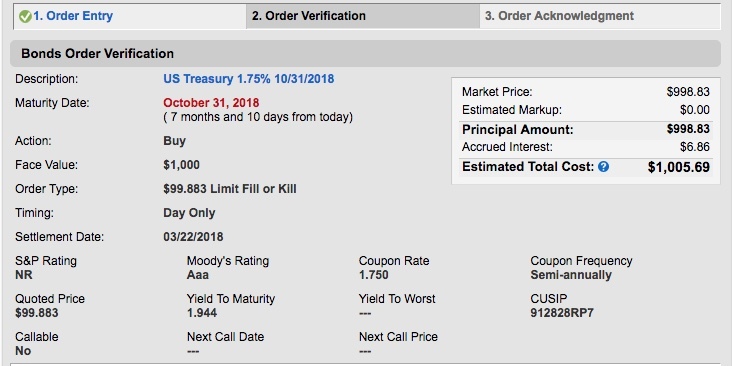 To redeem a 5.95% coupon bond early, Dominion would have to pay the present values of all remaining interest payments to the June 2035 maturity date and the principal amount ($1,000 per bond). 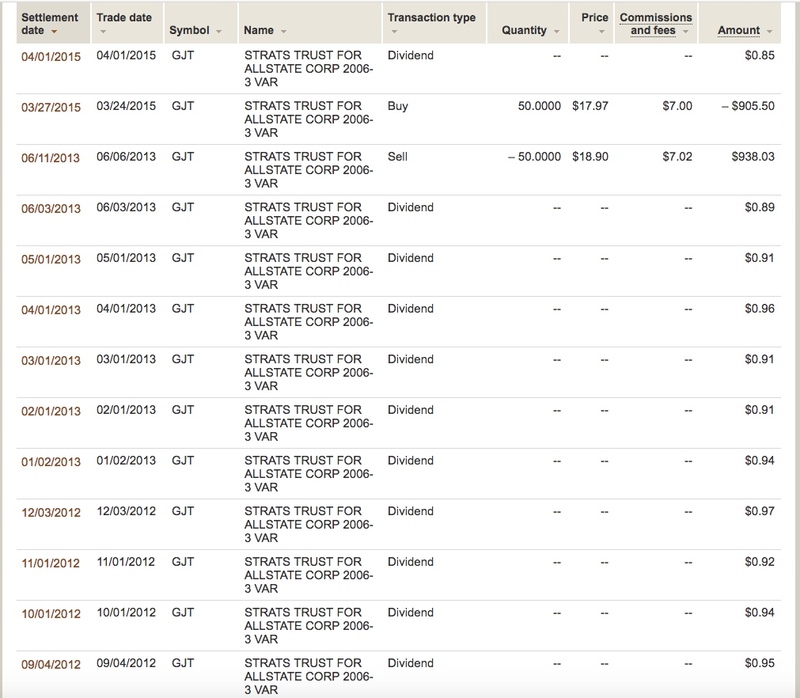 So all of those amounts are aggregated and then discounted to present value using the treasury rate for a similar security plus a measly .15%. This present value formula results in premium penalty for an early redemption. In the unlikely event Dominion does exercise its optional redemption right, then Wells Fargo would take all of the make whole payment as a swap termination fee. The swap termination fee would be calculated in a similar manner and could conceivably be greater than the make whole payment. The owner of GJP is exposed to the credit risk of this issuer. ENB is not working out so far. Investors have torched the stock. The downtrend accelerated after the Federal Energy Regulatory Commission ruled that it would no longer permit MLPs to recover a tax allowance in their interstate pipeline rates subject to FERC's review and approval. "Under the International Joint Toll mechanism, reductions in the EEP tariff will create an offsetting revenue increase on the Canadian Mainline system owned by Enbridge Income Fund Holdings Inc. (ENF). Financial guidance at ENF remains unchanged; however, this could provide a further tailwind for financial results. The combined impact at both EEP and ENF are offsetting for Enbridge on a consolidated basis." I own 200 ENF shares and less than 60 ENB. I have never owned EEP or SEP and have a policy to avoid direct ownership of MLPs due in large part to the K-1 tax hassles. There are two separate issues as I understand it. The first involves the pass through of tax savings into interstate pipeline rates that resulted from the corporate tax rate reduction to 21%. The second relates to a MLP being able to claim as a cost the tax rates that it would have paid but for the pass through structure. The FERC changed its long standing policy and will now disallow the rate recovery of those taxes where it regulates rates. If there had been no change in that policy, the MLPs would have been impacted by the first issue discussed above. There will be a lot of variations in the impacts. I will be reinvesting the dividend, possibly for as long as the discount to net asset value per share remains over 5% and preferably over 8%. 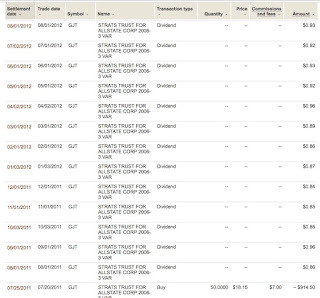 Historically, I have turned the reinvestment option on and off based on the discount but am flexible as to the level. 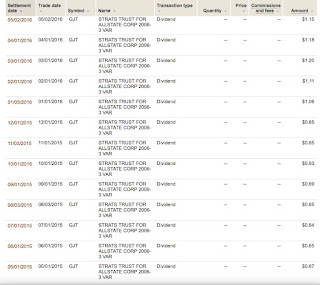 The monthly ex dividend was on 3/22/18. 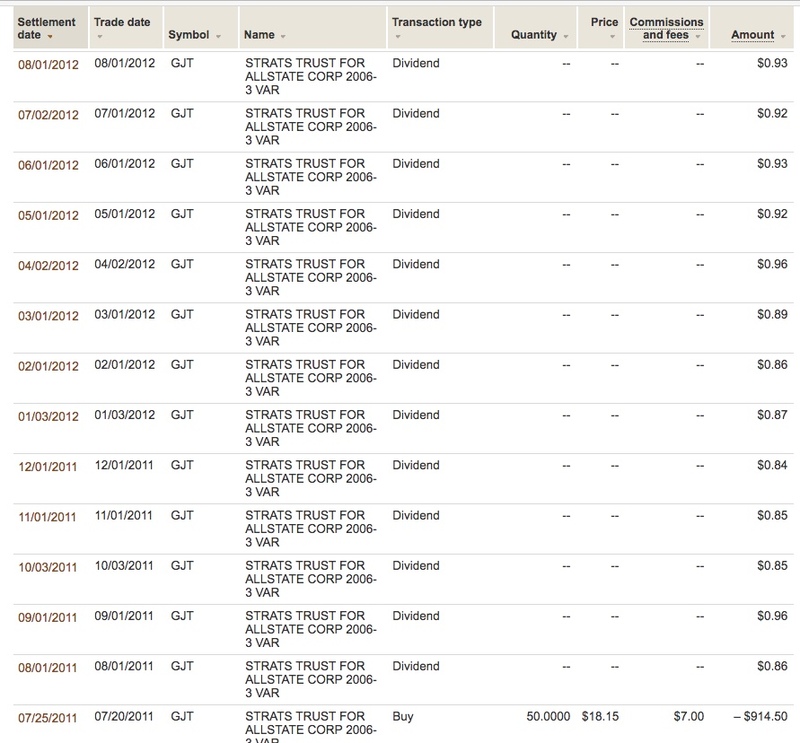 So I bought 10 the day before the ex dividend date and 10 on the ex dividend date. I have nothing to add to that recent discussion. I am expecting the dividend to be frozen for 2018 and probably through 2019. GIS has also halted its share buyback program. The reason for the freeze and the buyback suspension is to pay down debt incurred as a result of the Blue Buffalo acquisition. 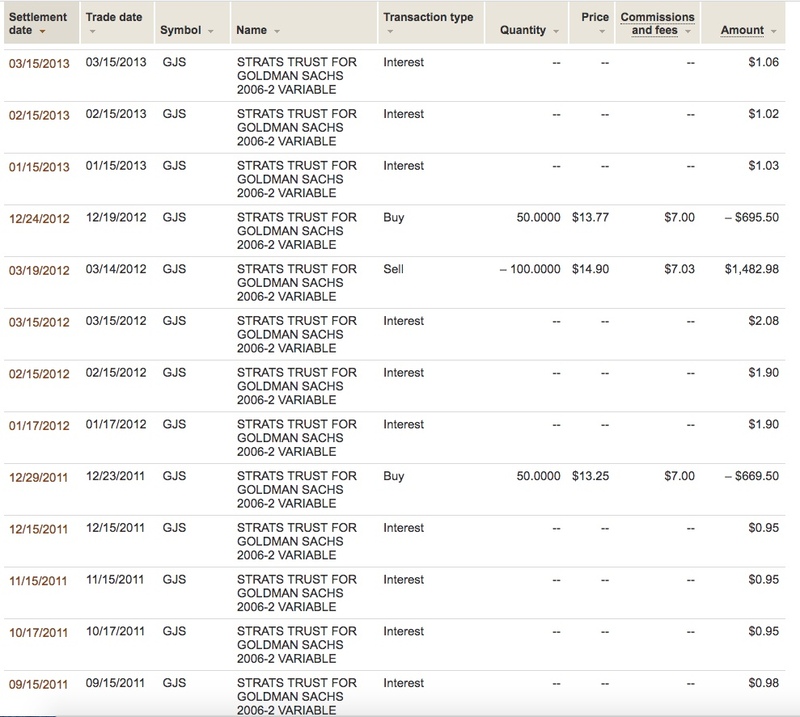 My most recent profit harvesting was to sell a 10 share lot bought in this buying program at $56.18. Item #2.A. Sold 10 of 25 GIS at $56.18-Used Commission Free Trade (12/21/17 Post) I have now bought back 7 of those 10 shares. My next buy will be 3 shares somewhere south of $44. I now own 2 bonds. Note that Fitch and Moody's give the same ratings to Nextera and NEECH, but S & P rates NEECH SU notes at BBB+ and the parent at A-. 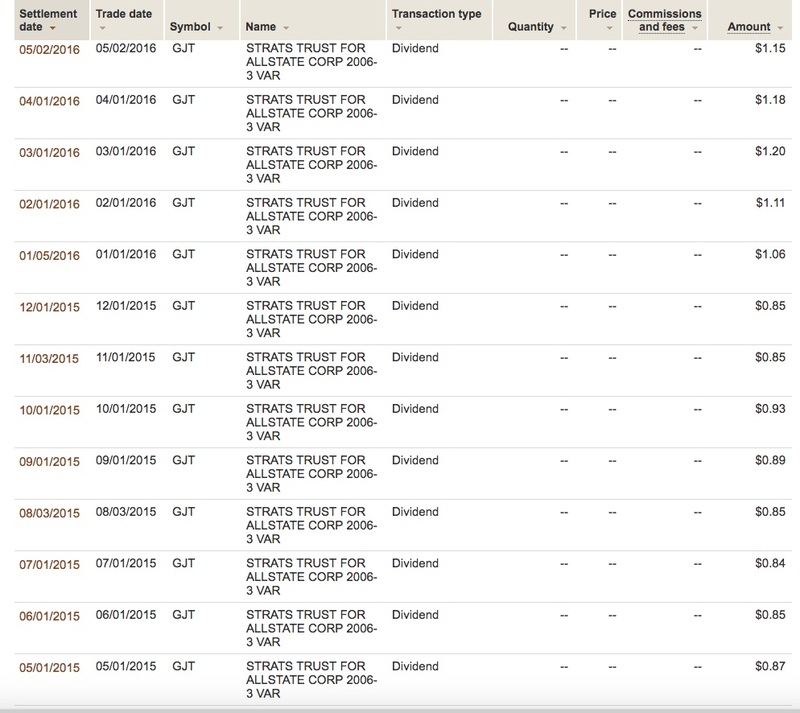 I own 9 Nextera Capital SU bonds that mature on 9/1/18. So part of what I am doing involves anticipating the maturity of those 9/1/18 and extending now the maturity by a few months through the purchase of Nextera bonds maturing in 2019. 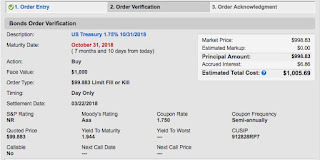 Currently, I own three different treasuries maturing on 10/31/18. Once I decide to add one with that maturity date, I will simply pick the one with the highest YTM. The other two have .75% and 1.25% coupons. I now own two bonds. This bond barely qualifies as an intermediate term. My cut off for planning, allocation and weighting purposes defines an intermediate term bond as maturing between 3 and 10 years from the date of purchase. For REITs, it is difficult to receive a high investment grade credit rating since so much money is paid out to common shareholders. 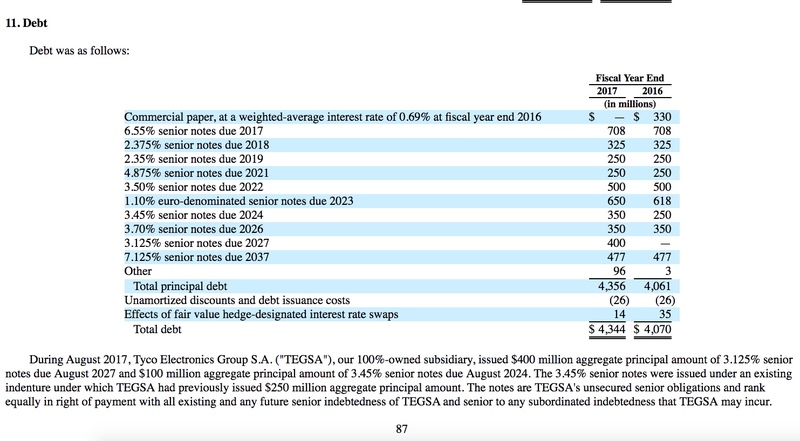 This issuer has a 3.875% SU bond maturing in 2025 that has a higher current yield and YTM: Bond Detail I bought 1 of that issue back in April 2017 and still own it. I also still own 2 of HR's 3.5% SU bonds maturing on 8/1/26 that were bought in May 2017. For this issuer, I am willing to own up to 10 SU bonds when looking solely at the credit risk issue. I am more concerned about interest rate risk for its 2023-2026 maturities. I would be in a good spot going forward if I had my entire portfolio invested in high quality bonds with a weighted average yield of 3.5%. Anything more than that would just place me in a better spot.